For those of you who don’t already know, I’m a bit of a fitness junkie. I’m always looking for new and creative ways to get a good workout. On the flip side, I really like to incorporate yoga (which is a workout in and of itself) into my schedule at least once a week to help keep me limber and flexible. At the moment, I’m on a pretty strict budget with all of my wedding planning going on. With that said, I’m constantly looking for ways to save a few dollars, but still get out and practice yoga. Luckily, I have the good fortune of living in a city where yoga is promoted and provided for free in many different locations to help build a more united community. Let this serve as a guide for you to go and get your downward dog and pigeon on all summer long, and it’s all free! East 4th Street Yoga: House of Blues, Downtown Cleveland. Classes run from 10 a.m. to 11:15 a.m. each Saturday. Teachers rotate each week and represent yoga studios from all over the city. Donations received go to local charities. Hingetown Community Yoga: Transformer Station, Hingetown. Classes are Saturdays and start at 9:45 a.m., but plan to be there around 9:30 a.m. to get settled. Classes last about an hour. Teachers also rotate each week. Lulu Lemon Community Yoga: Eton Plaza, Chagrin. Lulu Lemon sponsers free yoga classes in their store, taught by various teachers around the community. Class starts at 11:00 a.m. and end at 12:00 p.m. on Sundays. The next class is May 25th! Believe in CLE: Downtown Cleveland. There are two events coming up this summer. 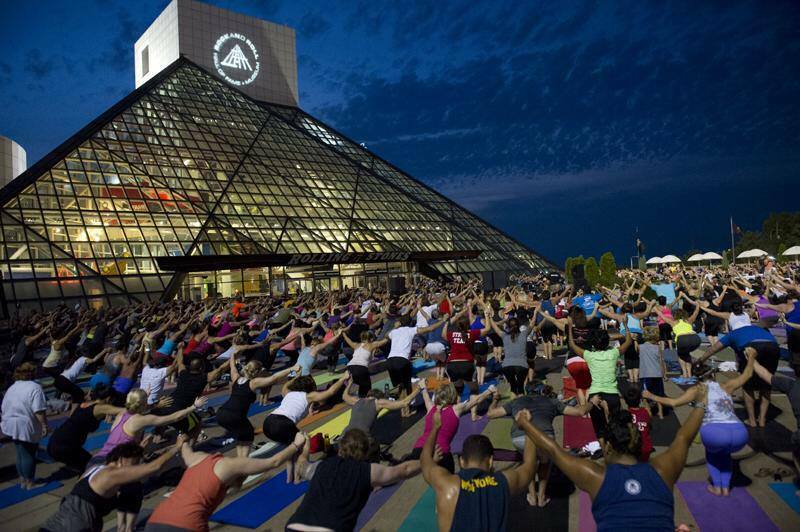 The first is June 27 from 6:30 p.m. to 10:30 p.m. at the Rock n’ Roll Hall of Fame. Enjoy a free vinyasa class, live music and the company of fellow yogis! The second event is August 8 from 7 p.m. – 10:30 p.m. on Mall B and is part of the AHA! multi-day festival of lights. This event will generate positive energy and celebrate the city’s recent momentum, while also complementing the International Gay Games 9. North Coast Namaste: Voinovich Park, Cleveland. Classes are Tuesday evening from 5:30 – 6:30 p.m. right on the lake! The first 40 registrants each week will get free parking on the pier. Yoga runs from June 3 – September 30th and features instructors from all over the city. I can’t think of a better way to utilize Voinovich Park! 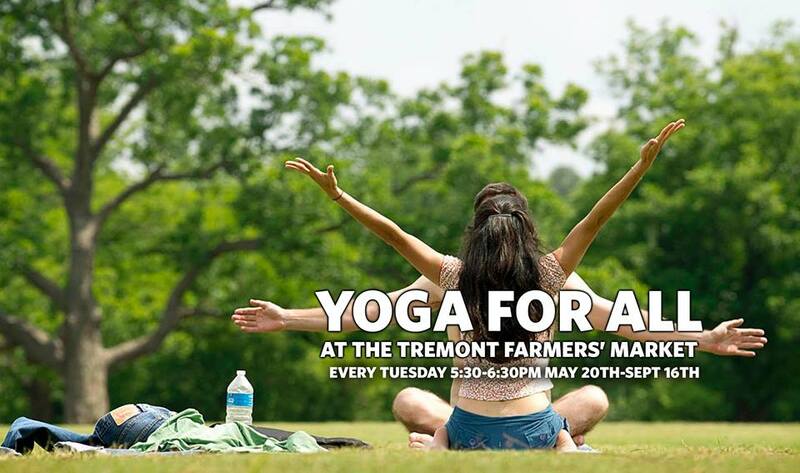 Yoga for All at the Tremont Farmers’ Market: Lincoln Park, Tremont. Classes are 5:30 p.m. to 6:30 p.m. during the Tremont Farmers’ Market on Tuesday evenings. Relax and grab some healthy eats for the week. If you know of any other places that offer free yoga, add them to the comments section! Namaste! All photographs were pulled from the event web pages or Facebook pages for each organization.